These are the terms that apply to your consumer account with us ("Account") and to the payment, ordering, promotional information and other services provided in connection with your Account (collectively, "Services"), if you choose to use them, through our branded version of the Yoyo mobile application (the "Harris+Hoole App"). By registering for an Account and by using any of the Services through the Harris + Hoole App, you agree to be bound by these terms which form a legal contract between you and us. You should print a copy of these terms for future reference. The Harris+Hoole App is powered by Yoyo Wallet Limited for use only in relation to offers, promotions, rewards, goods or services offered by or purchased from Harris+Hoole retail outlets operated by Caffè Nero Group Limited and its subsidiaries and affiliated entities that accept the Harris+Hoole App. It cannot be used elsewhere or in relation to offers, promotions, rewards, goods or services offered by or purchased from other merchants. Where the word “Merchant” or “Merchants” is used in this document, it refers to such Caffè Nero Group Limited entities. Use of the Harris+Hoole App is subject to our End User Licence Agreement. Use of your personal information is governed by our Transparency Statement. To use any Services, you must register with Yoyo and set up an Account by completing the Account registration details requested. It is free to open an Account. You only need to register once and you must not attempt to open more than one Account with us. You must not already hold an Account with us and, except with our express prior permission, you must not previously have held an Account which was closed by us. It is your responsibility to ensure you satisfy all of the minimum eligibility criteria set out above before choosing to register with us. By doing so, you confirm to us that you do meet all of the minimum eligibility criteria. To register, you must provide us with accurate, complete and up-to-date contact information, including email address on registration and, if you choose to link a Payment Card (as defined in paragraph 5.1), your full name, date of birth and postcode. You are responsible for the information you provide to us. You must promptly update your Account information online in the event of any changes to this information. For changes to your email address you can do this by logging into your Account. For changes to other personal details, you should email appsupport@harrisandhoole.co.uk. You must also notify us promptly by emailing appsupport@harrisandhoole.co.uk if you no longer satisfy all of the minimum eligibility criteria set out above. Account opening is subject to approval by us in all cases, and we reserve the right, in our sole and absolute discretion, to decline any application to open an Account, without giving a reason. If we approve your application, you will receive a notification from us. We reserve the right, in our discretion, to carry out checks (including checks with credit reference agencies) for the purposes of verifying your identity. By agreeing to these terms, you agree to our doing so. To meet regulatory requirements, we may make periodic searches of, and provide information about you to credit reference agencies, fraud prevention agencies to manage and take decisions about their relationship or prospective relationship with you. Such information may be used by credit providers to take decisions about you and your financial associates. We may also review you and your business activities (including without limitation by electronic means) to monitor your compliance with these terms. Please be aware that a link between you and anyone with whom you have a joint account or similar financial association will be recorded at credit reference agencies, creating a “financial association”. All such associated parties’ information will be taken into account in future applications until you or one of them successfully files a “notice of disassociation” at the credit reference agencies. Upon registration for an Account with us, you will be asked to provide your email address and create a password ("User Details"). Any password you create (including when you update your password from time to time) must be a "strong" one, and not easily guessed – such as your date of birth. It is essential and a condition of using our Services that you keep your User Details secure and confidential at all times. You are the only authorised user of your Account and, accordingly, you must not disclose your User Details to anyone else. You should not write down your email address and password together in the same place and you must take care that nobody sees (or overhears) you when using your User Details. As long as your correct User Details are entered when your Account is accessed, we will assume that you are the person accessing it and you will be responsible for such use (including any transactions). You must notify us immediately by emailing appsupport@harrisandhoole.co.uk upon discovering or suspecting that your User Details or the mobile device to which you downloaded the Harris+Hoole App have been lost, mislaid or stolen or that anyone else has learned your User Details or that there has been any unauthorised use of your User Details or Account. Until you do, your Account will not be secure. Please note there are special provisions regarding your and Yoyo's liability for unauthorised payments from your Account in our Payment terms. User Details are our property and we reserve the right to alter or replace them, or require you to do so, at any time in our sole discretion. You must cease to use and must delete your User Details upon closure of your Account for whatever reason. You may only use your Account for your own non-commercial, personal use (and not for or on behalf of anyone else) and only for authorised and lawful purposes (complying with all applicable laws and regulations). You will not use your Account in connection with any lottery or gambling activity, to further any fraudulent or other illegal activity, to impersonate another person or in a manner harmful to Yoyo, its Merchants, users or other third parties. To comply with legal requirements, and in order to protect you, certain important rules apply to use of your Account, including limits on the amount you can spend through it, and these are set in our Payment terms. We cannot and do not guarantee the continuous or uninterrupted operability of the Services (as this depends on a number of factors outside our control) and there may be periods of downtime for maintenance and upgrade work to be carried out (whether on a scheduled or unscheduled basis).As Yoyo does not control the security of the Internet, or other networks you use to access the Services, Yoyo is not responsible for the security of information that you choose to communicate with Yoyo while it is being transmitted or for any data lost during transmission. You are solely responsible for obtaining and maintaining the computer, smartphone and other equipment that you use to access the Services and for paying for such equipment and any telecommunications charges. You agree that Yoyo is free to use any comments, information or ideas contained in any communication you may send to Yoyo without compensation, acknowledgement or payment to you for any purpose whatsoever, including, but not limited to, developing, manufacturing and marketing products and services and creating, modifying or improving the Services, the Harris+Hoole App or other products or services. For the avoidance of doubt, all such information will be deemed by Yoyo to be non-confidential and non-proprietary, and you agree that such information may be used by us without any limitation whatsoever. The Services allow you to use the Harris+Hoole App to pay from your Account (see Paying with your Account) for products and services offered, from time to time, by those Merchants who agree with us to accept payments from Harris+Hoole App account holders. You may only use your Account for bona fide purchase of goods and/or services offered in the ordinary course of a Merchant’s business. The Services may not be used for transactions in which you request cash back from a Merchant or for providing cash advances. We are not a seller, supplier or auctioneer of any of the products or services offered by Merchants. We merely provide a tool and platform for you to make payments at Merchants' outlets or other premises and, to the extent the Harris+Hoole App allows you to do so, to place orders with and make payments to Merchant through the Harris+Hoole App itself (collectively, "Transactions"), if you choose to do so. If you make a payment from your Account using the Harris+Hoole App, you will be buying from the relevant Merchant and not from us. You should make sure you are clear as to who the Merchant is. We do not guarantee the identity of any Merchant. The contractual relationship in relation to the sale of the relevant product(s) and/or services(s) will be only between you and the relevant Merchant. We are not a party to the contract. The relevant Merchant alone is responsible for the relevant product(s) and/or service(s) you purchase and pay for, and any related product/service description, sale, supply, delivery, customer enquiry, after-sale care or complaint, and also for any offers and promotions it advertises or runs. The Merchant alone is also responsible for the relevant terms and conditions of supply or service that apply and making sure you are aware of and accept them. We do not have any contractual obligations to you and you do not have any contractual rights against us regarding any product(s) or service(s) you pay for from your Account using the Harris+Hoole App. We do not have any authority or influence in resolving in any dispute you may have with any Merchant and you agree not to involve us in any such dispute. However, if, without being under any obligation to do so, we do intervene to help resolve a dispute relating to a Transaction or make a goodwill gesture (for example, issuing a refund), we do this on behalf of the relevant Merchant and it does not affect or widen our limited role as described in paragraph 4.2. To make payments using your Account, you will need to link a payment card (debit or credit card) that you wish to you for the purpose of Transactions ("Payment Card") to your Account. You Payment Card must be issued in your name by a UK or EU bank, building society or other recognised financial institution and must be valid and unexpired. You can only have one Payment Card registered at any one time. You must promptly update your Account information or email appsupport@harrisandhoole.co.uk if you wish to change Payment Card. If you link a Payment Card to your Account, we may seek to authenticate its details by making a credit to or a reservation of a small amount of money from it. We will not be liable for any charges you incur from your Payment Card provider as a result of taking these steps. Further important rules on paying with your Account are set out in our Payment terms. Payment from your Account using the Harris+Hoole App is made by you at the relevant Merchant's outlet or other premises or, to the extent the Harris+Hoole App allows you to place orders with and make payments to the Merchants through the Harris+Hoole App, then within the Harris+Hoole App itself. To ensure the required level of payment security, we will always use a PCI DSS-compliant payment gateway to store, process and transmit your Payment Card data. We reserve the right to change our payments gateway at our sole discretion, provided any such payment gateway meets this security compliance level. You can access the details of your recent Transactions and other information relating to your Account usage by logging into your Account or you can email appsupport@harrisandhoole.co.uk if you wish to request a statement of Transactions for a specific period. You agree to review your Transactions through your Account instead of receiving periodic statements by mail. While we will maintain your Account whilst it is open, you are solely responsible for making and keeping your own records of all Transactions and other data associated with your use of the Harris+Hoole App and your Account. After closure of your Account, we will have no obligation to you to retain copies of or provide access to any data from it. From time to time, Merchants may run offers and promotions in relation to their products and services (for example, free gifts, money off, multi-buy discounts or 'loyalty' points and similar schemes) whereby you may be eligible to earn “Rewards” and we may (in accordance with Transparency Statement) communicate summary details of these to you through the Harris + Hoole App. The relevant Merchant (not Yoyo) is the promotor. 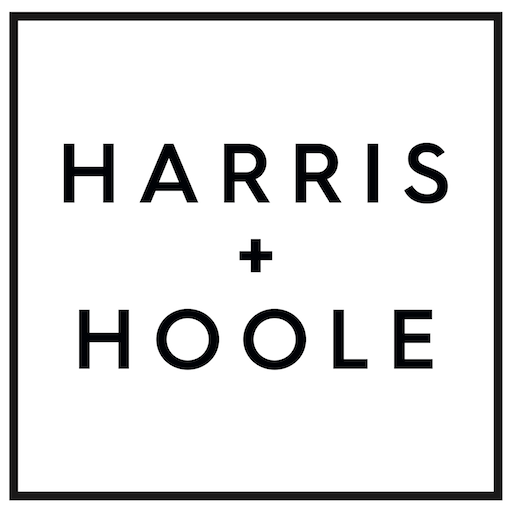 If you receive summary details of any such offer or promotion through the Harris + Hoole App, we do not guarantee that you are necessarily eligible to participate in it and you should check (with the relevant Merchant) that you understand to whom the offer or promotion is available, what you have to do (if anything) to participate, for how long it is available (for example, there may be a closing date or points may need to be redeemed within a certain period) and any other material conditions, as set out in the relevant promotional terms and conditions. The relevant Merchant alone is responsible for any offers and promotions it advertises or runs. The Merchant alone is also responsible for the relevant promotional terms and conditions that apply and making sure you are aware of them. Merchant may choose to discontinue an offer or promotion at any time. the Merchant discontinues the offer or promotion for any reason. We will not be responsible for any detriment or disappointment you may suffer as a result of your continued participation in any Merchant's offer or promotion being brought to an end in these circumstances. This will not affect any Transaction that has already been completed. The relevant Merchant alone is solely responsible (in its sole discretion) for putting in place any alternative arrangements necessary to allow you to continue participating in the relevant offer or promotion, if it wishes to do so. The Harris+Hoole App may, from time to time, include links to external sites, which may include links to third party offers and promotions. We are not responsible for the content of these sites or for anything provided by them and do not guarantee that they will be continuously available. The fact that we include links to such external sites does not imply any endorsement of their operators or promoters. If the Merchant ceases to agree with us to accept payments from Account holders but that Merchant agrees, instead, to deal with a third party payment services provider whose services replace the Harris+Hoole App, the Merchant may (in its sole discretion) allow you to continue participating in the relevant offer or promotion, but under new arrangements administered by the replacement service provider. We will not be responsible for any aspect of your dealings with the replacement service provider. We will allocate to your Account any loyalty balances notified to us by Merchant as being eligible for transfer from your previous account with Merchant for Merchant’s H+H mobile application (“Coffee Now App”). The Merchant alone is solely responsible for its Coffee Now App, any offers and/or promotions it advertised or ran on it, the amount and eligibility for transfer of any stored loyalty balances and the terms and conditions that apply. Merchant alone is also for making sure you are aware of all such terms and conditions. You are responsible for all charges to your account. If you have questions regarding charges to your account (including if you do not recognise certain charges), you should contact us by emailing appsupport@harrisandhoole.co.uk. We reserve the right to make changes to these terms from time to time. We will notify you of any change(s), including details of when they will come into effect, by notification in your Account and/or by an in-app message or notification to the email address associated with your Account. We will also ask you to indicate your consent to the change(s) (for example, by clicking on an acknowledgement button or link). If you give your consent, the changes will come into effect on the date specified, provided always that, for certain changes, where we are required by law to give you a minimum of two months' notice the date specified for those changes will reflect that notice requirement and such changes will not come into effect before then, even if you consent prior to that date. After we have notified you of a change in these terms, even if you do not tell us you consent by the method requested (for example, by clicking on an acknowledgement button or link), we will assume that you do consent and you will be deemed to have accepted the updated terms on the date specified as when they come into effect unless you close your Account. You can do this immediately, and without charge, at any time before the change(s) come into effect. By downloading and/or using the Harris+Hoole App you consent to receiving electronic communications and notices from Yoyo. You agree that any notice, agreement, disclosure or other communications that we send to you electronically will satisfy any legal communication requirements, including that such communications be in writing. We may, from time to time temporarily suspend the operation of any Services (in whole or in part) if we suspect your Account is being used in connection with unauthorised, fraudulent or unlawful activities or that the security of your Account has been compromised. Where a suspension means you will not be able to make payments or withdrawals from your Account as set out in our Payment terms, we will promptly notify you of the reasons for suspension, unless we are prevented from doing so by law. You may close your Account, without penalty, at any time by emailing appsupport@harrisandhoole.co.uk and confirming that you are closing your Account and ceasing to use the Services and the Harris+Hoole App. We may close your Account or withdraw any of the Services at any time on not less than two months' notice to you. you have breached paragraphs 1.2, 2.1 or 3.5 or your obligations under paragraph 3.1 to keep your User Details secure and confidential and not disclose them to anyone else. you must pay us all outstanding amounts that you owe us (if any). Our liability to you in respect of unauthorised or incorrectly executed payments from your Account is as set out in our Payment terms and nothing in paragraph 3 will affect that. We will not be liable or responsible for any failure to perform, or delay in performance of, any of our obligations that is caused by any act or omission of third parties or events outside our reasonable control. If you wish to make a complaint about the Services, you can email appsupport@harrisandhoole.co.uk, from the email address associated with your Account, giving brief details of your complaint. A summary of our complaints handling procedures is available on request. Our customer service staff will acknowledge your complaint by email within 1 business day, then investigate and send you an initial response, having had access to an officer with the authority to settle the complaint (including, where appropriate, an offer of redress). This should take no longer than five business days, but most complaints may well be resolved by close of business on the business day after the complaint is received. If you are not satisfied by our response, you can email appsupport@harrisandhoole.co.uk, enclosing the responses already given. That email will then be referred to our Chief Executive Officer or other relevant member of senior management, who will respond by email within a final five business days. If we are unable to satisfy your complaint satisfactorily within a period of 8 weeks, you may be eligible to refer your complaint to the Financial Ombudsman Service, South Quay Plaza, 183 Marsh Wall, London E14 9SR, United Kingdom. The Financial Ombudsman Service is an independent body that helps settle complaints between customers and firms regulated by the FCA. Further details on referring a complaint to the Financial Ombudsman Service, including whether you are eligible to do so, can be found at www.financial-ombudsman.org.uk. All intellectual property rights in the Services are owned by us or our licensors. All notices given by you to us must be given in writing to the address set out at the end of these terms or sent to appsupport@harrisandhoole.co.uk. Any notice or other communication from us to you will be sent through your Account or by email to the address given by you in your Account. Any notice or other communication will be deemed to have been received the next business day after it is sent. All notices and communications under these terms shall be in English. These terms and any document expressly referred to in them represent the entire agreement between you and us in relation to the subject matter of any these terms. We are required by law to advise you that the contract formed on these terms may be concluded in the English language only and that no public filing requirements apply. Upon request, we will provide you with a copy of these terms or any part of the information contained within them (including information set out in Schedule 4 of the Payment Services Regulations 2009). You agree that any Merchant has the right to enforce any of these terms which are for its benefit under the Contracts (Rights of Third Parties) Act 1999. No other third party has the right to enforce any of these terms under the Contracts (Rights of Third Parties) Act 1999. These terms shall be governed by English law, except that if you live in a country (which, for these purposes, includes Scotland or Northern Ireland) of the European Union other than England, there may be certain mandatory applicable laws and regulatory codes and/or guidance of your country which apply for your benefit and protection in addition to or instead of certain provisions of English law. Subject to the next paragraph, you agree that any dispute between you and us regarding these terms or any Services or your Account will only be dealt with by the English courts, except that if you live in a country (which, for these purposes, includes Scotland or Northern Ireland) of the European Union other than England, you can choose to bring legal proceedings either in your country or in England, but if we bring legal proceedings, we may only do so in your country. We are required to inform you that the Financial Ombudsman Service is an alternative dispute resolution body to whom we are obliged, by the rules of the Financial Conduct Authority, to refer certain disputes that cannot be resolved between you and us. For more information, please refer to paragraph 11.4. Yoyo Wallet Limited, is a company incorporated in England and Wales under company registration number 08515940 and whose registered head office is at 2nd Floor, 78 Whitfield Street, London, W1T 4EZ. Yoyo Wallet Limited is authorised by the Financial Conduct Authority under the Electronic Money Regulations 2011 (Firm Ref. No. 900645) for the issuing of electronic money. Our VAT registration number is GB166639179. These payment terms set out additional terms and conditions that apply to your use of the Account to hold funds in the form of electronic money and/or to make payments to Merchants. (each of the above is a "Payment Transaction"). You will not earn any interest on E-Money held in your Account ("Yoyo Balance"). The Financial Services Compensation Scheme does not apply to Services or your Yoyo Balance. the amount of any single Payment Transaction from your Account cannot exceed EUR 1,000 (or its equivalent in your Account currency). These limits are applied by us to minimise the steps required for you to start using your Account. We will notify you if you have reached these limits. You will not be able to pay Merchants using your Account or redeem your Yoyo Balance in excess of these limits until we have carried out additional steps to verify your identity under anti-money laundering regulation. We reserve the right to suspend your Account until necessary verification checks have been completed. In addition to the limits in paragraph 16.1, we may also at our reasonable discretion impose spending limits on your Account. We will notify you of any spending limits imposed. You may contact us in respect of any spending limit we impose by emailing appsupport@harrisandhoole.co.uk. otherwise instruct us to make a Payment Transaction through any other means that we inform you from time to time are valid methods for consenting to a Payment Transaction. Once you have provided consent for a Payment Transaction your consent cannot be withdrawn. In that regard, your consent for a payment is the time in which your payment order for that Payment Transaction is received by us. The completion of a Payment Transaction from your Account to the Merchant's Yoyo account is usually instantaneous although the maximum time we are permitted to take under applicable regulations is one business day after the day on which you consent to the Payment Transaction. When you have used your Account to pay for any goods or services, the Merchant may pay any refund due to you into your Account. You are able to withdraw this refund at any time under paragraph 19 of these payment terms. If you make a purchase or receive a refund from a Merchant in a currency other than the currency in which your Account is denominated, we will specify the amount to be debited from or refunded to your Account based on the currency exchange rate at the time of the purchase/refund available from a reputable currency exchange service provider used by us. You agree that changes in this exchange rate may be applied immediately without notice to you. Depending on the configuration of your Account you may be able to manually top-up your Yoyo Balance using your linked Payment Card. By placing an instruction to load E-money into your Account, you authorise us to request payment from your linked Payment Card and issue you with E-Money. Alternatively, you may be able to set an automatic top-up to your Account. To set an automatic top-up you will be asked to set a minimum Yoyo Balance and an amount for your automatic top-up ("Top-Up Amount"). Upon your Yoyo Balance falling below the minimum set by you, we will automatically top-up your Account by the Top-Up Amount using your linked Payment Card. By setting an automatic top-up to your Account, you provide us with a continuous authority to automatically charge your Payment Card as set out in this paragraph. You acknowledge that we are only required to issue you with E-money upon receipt of cleared funds. To facilitate Payment Transactions from your Account, we may at our discretion credit your Account with E-money upon confirmation that payment to us has been authorised from your linked Payment Card. If we have credited your Account and your payment to us fails or is subject to a reversal or chargeback, we will deduct an equivalent amount from your Yoyo Balance. If you have already spent or withdrawn E-money credited to your Account, this deduction may result in you having a negative Yoyo Balance unless we are able to recover those funds from a Merchant. We will credit your Account with E-money to the value of any stored value balance notified to us by Merchant as being eligible for transfer by Merchant from your previous account with Merchant’s Coffee Now App, upon the receipt of cleared funds from the Merchant. You are able to withdraw this amount at any time under paragraph 19 of these payment terms. The Merchant alone is solely responsible for the amount and eligibility for transfer of any stored value balance and the terms and conditions that apply to it. Merchant alone is also responsible for making sure you are aware of all such terms and conditions. We do not have any authority or influence in resolving in any dispute you may have with the Merchant about any Merchant stored value balance and you agree not to involve us in any such dispute. However, if, without being under any obligation to do so, we do intervene to help resolve a dispute relating to a Merchant stored value balance or make a goodwill gesture (for example, issuing a refund), we do this on behalf of the Merchant and it does not affect or widen our limited role as described in this paragraph. deduct from your remaining Yoyo Balance an amount equal any charges due to us in connection with the payment (if any). In the event you have an insufficient Yoyo Balance to complete a Payment Transaction, we may obtain such funds from your linked Payment Card as are necessary to issue you with E-money to complete the Payment Transaction and pay any charges due. When you link a Payment Card to your Account, you provide us with a continuous authority to automatically charge your Payment Card as set out in this paragraph. In no circumstances will we have any duty to provide you with an overdraft, credit or equivalent and we may refuse to process any Payment Transaction from your Account until we have received cleared funds from you. You must immediately pay us the amount of any negative Yoyo Balance on your Account. In the event of a negative Yoyo Balance, you authorise us to charge your linked Payment Card for the amount of the Account shortfall. If you fail to pay this debt, interest shall accrue in accordance with the Late Payment of Commercial Debts (Interest) Act 1998 as amended and supplemented from time to time. On giving notice to you, we may freely assign to a third party any outstanding debts that you owe us. Where an outstanding debt has been assigned, your payment obligations in respect of the assigned debt will be owed to that third party, but all other rights and obligations under these terms shall remain unaffected. You can request the withdrawal of all or part of your Yoyo Balance at any time by emailing appsupport@harrisandhoole.co.uk and specifying that you wish to withdraw all of your Yoyo Balance or the part of your Yoyo Balance that you confirm in the email. Withdrawn funds will be paid to the payment account connected to your Payment Card. You are responsible for ensuring that details of the Payment Card on your Account are up to date and correct. We will not be liable for any payment that is not received by you because of errors in the Payment Card or payment account details you provide us with, although we will make reasonable efforts to recover your funds. Before we transfer funds to you, we may carry out further checks to prevent money laundering or fraud or to fulfil our legal obligations. You agree to comply with any request we make to help verify your identity and complete these checks. We will initiate your transfer request as soon as we have successfully completed these checks. We will endeavour to ensure that withdrawn funds reach your Payment Card provider by the end of the business day following the day that you make a withdrawal request. If your withdrawal request is made on a non-business day or after 5pm, for the purpose of this paragraph your withdrawal request is deemed to have been made on the next business day. We will not be in breach of this paragraph if the failure of funds to reach your Payment Card provider on time is caused by an error outside of our control on the part of any third party involved in the transfer. in any event, no later than 13 months after the date of the Payment Transaction. Notifications under this paragraph must be by email to appsupport@harrisandhoole.co.uk. We will refund any Payment Transaction made from your Account that has not been authorised by you provided you have notified us of the unauthorised Payment Transaction in accordance with paragraph 20.1 and save to the extent you are liable for any part of the transaction under paragraph 20.4. Unless you have acted fraudulently, you will have no liability for a Payment Transaction not authorised by you (and so paragraph 4 will not apply) if the relevant transaction occurred in relation to a distance contract or after you have made a notification under paragraph 3.2 of these terms. Subject to paragraph 3, you will be liable for the first £50 of any unauthorised Payment Transaction if it arises from the loss or theft of your mobile device or your failure to keep User Details safe. However, you will be liable for the entire unauthorised Payment Transaction if you have acted fraudulently or you have intentionally or with gross negligence failed to: (a) use your Account in accordance with these terms, (b) notify us under paragraph 3.2 of these terms; or (c) keep your User Details safe. the problem has arisen as a result of you providing us with the recipient's incorrect payment account details. In the event of (b) above, we will make reasonable efforts to recover your funds. you have insufficient funds to make the payment or withdrawal. We will promptly notify you of the reasons for our refusal unless we are prevented from doing so under applicable law. Upon closure of your Account, we will return your Yoyo Balance to the payment account connected to your linked Payment Card linked in accordance with paragraphs 2 to 19.4 (and for the purpose of the timings in paragraph 19.4, closure of your Account shall be deemed to be a withdrawal request). In certain circumstances we may be unable to return funds to you (for example if there is not a valid Payment Card linked to your Account). We will email you if we are unable to return your Yoyo Balance in order to make alternative arrangements. Any funds that we hold for a period of 6 years following the closure of your Account will be forfeited.